This text was among the first articles published by Global Research in October 15, 2001, in the week following the US-NATO led invasion of Afghanistan on October 7, 2001. 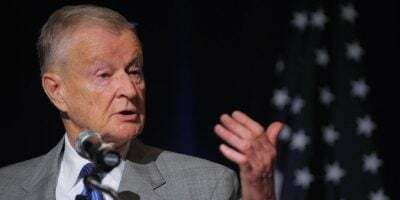 According to this 1998 interview with Zbigniew Brzezinski, the CIA’s intervention in Afghanistan preceded the 1979 entry of Soviet forces into Afghanistan in the context of a military cooperation agreement with the Kabul government similar in form to that reached between Damascus and Moscow in the context of the ongoing war in Syria. Confirmed by Zbigniew Brzezinski, Soviet forces were fighting the Al Qaeda mercenaries who had been recruited by the CIA. Amply documented, the recruitment, training and indoctrination of the Mujahideen was financed by the drug trade which was supported covertly by the CIA. The terrorists were recruited starting in 1979. They were used to undermine and destroy Afghanistan’s secular government. The decision of the Carter Administration in 1979 to intervene and destabilise Afghanistan is the root cause of Afghanistan’s destruction as a nation-state. Since the so-called “Soviet-Afghan War”, the US has promoted the influx of Al Qaeda mercenaries as a means to destabilize several countries, including Syria and Libya. Question: The former director of the CIA, Robert Gates, stated in his memoirs [“From the Shadows”], that American intelligence services began to aid the Mujahideen in Afghanistan 6 months before the Soviet intervention. In this period you were the national security adviser to President Carter. You therefore played a role in this affair. Is that correct? Brzezinski: Yes. According to the official version of history, CIA aid to the Mujahideen began during 1980, that is to say, after the Soviet army invaded Afghanistan, 24 Dec 1979. But the reality, secretly guarded until now, is completely otherwise Indeed, it was July 3, 1979 that President Carter signed the first directive for secret aid to the opponents of the pro-Soviet regime in Kabul. And that very day, I wrote a note to the president in which I explained to him that in my opinion this aid was going to induce a Soviet military intervention.